Web Pages have no memories. A user going from page to page will be treated by the website as a completely new visitor. Session cookies enable the website you are visiting to keep track of your movement from page to page so you don’t get asked for the same information you’ve already given to the site. Cookies allow you to proceed through many pages of a site quickly and easily without having to authenticate or reprocess each new area you visit. But sometimes in Java web applications, we should know who the client is and process the request accordingly. For example, a shopping cart application should know who is sending the request to add an item and in which cart the item has to be added or who is sending checkout request so that it can charge the amount to correct client. Session is a conversational state between client and server and it can consists of multiple request and response between client and server. Since HTTP and Web Server both are stateless, the only way to maintain a session is when some unique information about the session (session id) is passed between server and client in every request and response. 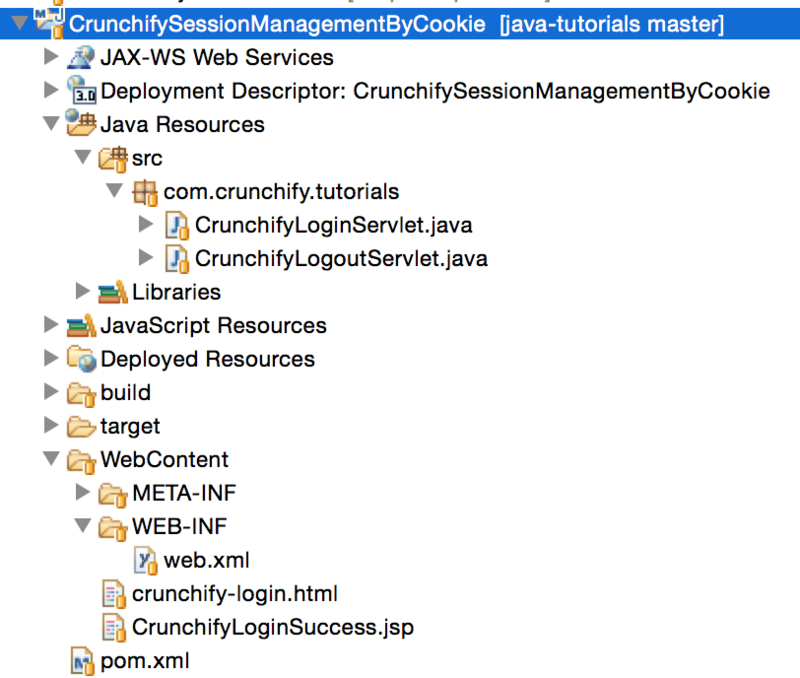 Now let’s create Simple Dynamic Web Project in Eclipse which explains Java Servlet Session Management using Cookies. 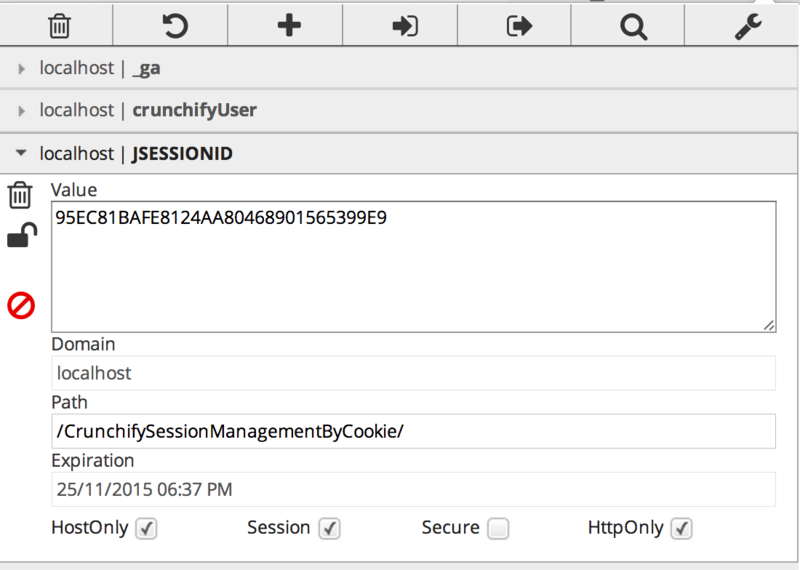 CrunchifyLoginSuccessful.jsp – Success Request is being are forwarded to LoginSuccess.jsp, this cookie will be used there to track the session. Also notice that cookie timeout is set to 60 minutes. <br> Enter Your Password: <input type="password"
<%@ page language="java" contentType="text/html; charset=US-ASCII"
1) Deploy CrunchifySessionManagementByCookie Project to Tomcat and Run Tomcat. Now How to Check If you Cookie is correctly set. Try downloading any Cookie Manager Extension and you should see Cookie in your browser as seen below. How to Send HTTP Request and Capture Response in Java? Java: How to Get Entity ContentType in HttpClient? Is there any advantage of this approach vs HttpSession object?